It was named Epcot (Experimental Prototype Community Of Tomorrow) when it opened some 30 yrs ago but don’t let people put you off re the kids – there is plenty for them to do. 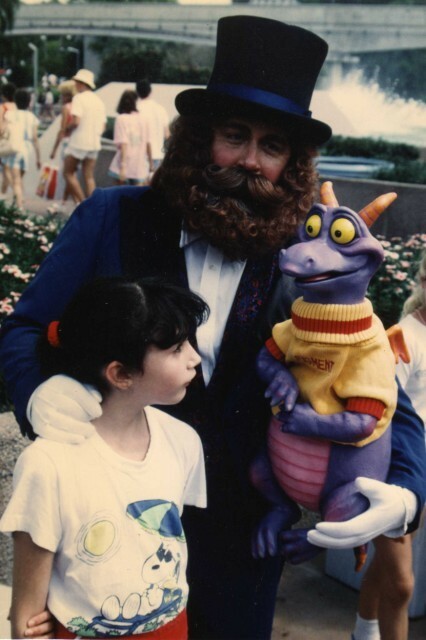 Epcot is divided in Future World and World Showcase. My children prefer Future World – edutainment with rides and exhibits related to energy, health and technology plus others but done the Disney way! But World Showcase has things to offer kids and keeps them occupied too. Go straight to the Living Seas - a huge aquarium with over 5000 sea life to watch and learn about. The sea lions are loveable. Get on a “seacab” for a very short ride through underwater viewing area. 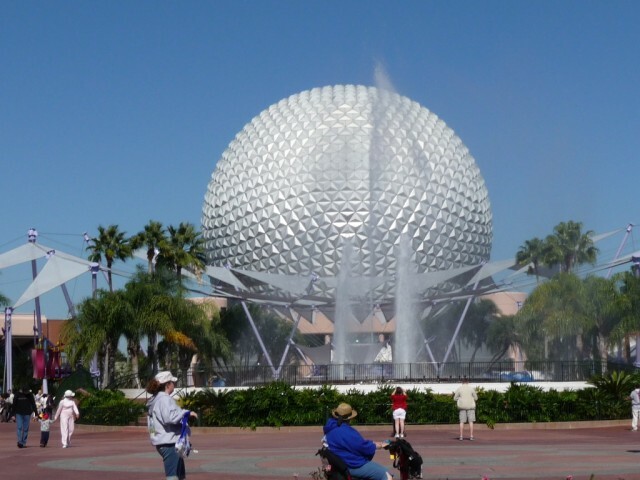 Off to The Land – the largest Pavilion of Epcot – to do with farming and food. Head for the boat ride with all the Lion King characters. Food Rocks - A musical tribute to nutrition, featuring some of today's tastiest tunes! Puppety foods & utensils perform in a rock concert. Basically, eat veg and don't each junk - of course we all do that anyway!! Meet the Peach Boys, Pita Gabriel and Chubby Cheddar. 12 mins long. Circle of Life - features Timon and Pumbaa – shows you how we should look after the earth – good film to watch. Image Works - Hands-on creative activities allow a kid to paint with his voice, conduct a band with his hand, or make sounds with his feet. Not just for younger kids – but you could get a headache in here! World Showcase – in each country there is a kid’s station and each year the children can make some piece of arts or craft and in each country a member of the country will give them something to add to it. This year (2002), they could make a star and then give it to the dreamcatcher during the Dream of Nations parade. United Kingdom - wonderful Winnie the Pooh shop with everything “Winnie” in it – not to forget Tigger and Eeyore. Journey Into Your Imagination. 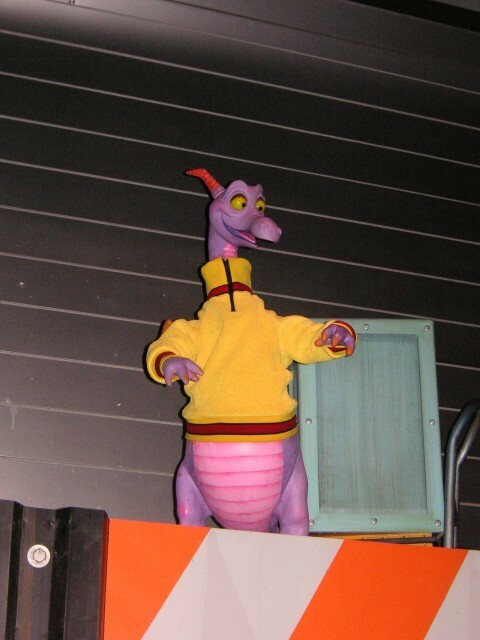 This ride features Figment (a pink dragon) and the Professor who take you through a ride through their lab and makes you use your imagination – wonderful colourful ride. Innoventions - Virtual-reality demos and computer games, real gadget area, keeps kids happy for ages. Sea Base Alpha - Kids (ok the boys!) will love the tanks full of barracuda, sharks, porpoises and manatees, and the chance to try on a diving suit. Spaceship Earth Ride - This age group will probably marvel most at being inside the 16-million-pound Spaceship Earth that dominates Future World – they may not notice the history lesson during the ride. The Land - My 8yr old liked the “how we use food” bits but 4yr old nearly fell asleep! You can get a guided tour for the growing areas. Honey, I Shrunk the Audience - Fabulous 3D show (4yr old was scared) watch the dog lick you and lots of other 3D effects – won’t spoil it for you. Maelstrom -Located in Norway, this boat ride through Norwegian history features a near plunge over a waterfall, a lightning storm at sea and other adventures. We came out and there were two Norwegian characters who my kids posed with for a photo – not sure if they were famous or just depicting the country! After that went off to Mexico for the El Rio Del Tiempo, a mild, yet entertaining boat ride. Don’t miss out on the shop here – full of instruments and of course the HUGE Mexican hat – I think, we’ve all got photos with that on. The assistants don’t any notice of you or the kids touching and playing with things, all part of the fun. 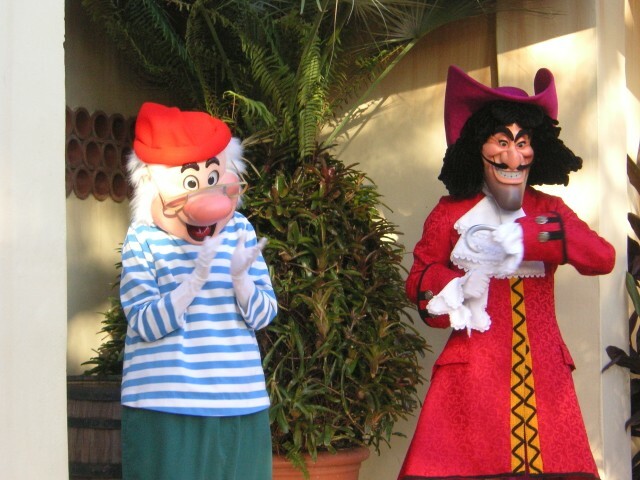 Epcot is definitely more appreciated by elder children but the above does prove that all ages can enjoy it – you will always hear from people that children get bored – never have our children got bored and we’ve been quite a few times. Spaceship Earth Ride - The queue is always fairly big, but worth the wait for everyone (see above). Body Wars - An exciting ride through the human body – if you have back trouble please don’t do this as it is far more vigorous than you think. Very interesting for older kids. Universe of Energy - First a film about the beginning of the universe, then the seating area splits apart into six sections, taking the audience on a ride through ancient Earth and a presentation on the origin of fossil fuels. The ride features dinosaurs in a thick humid atmosphere, and also the smell of the volcano – takes about 3/4 hr all in all. Test Track - Brilliant – not to be missed. 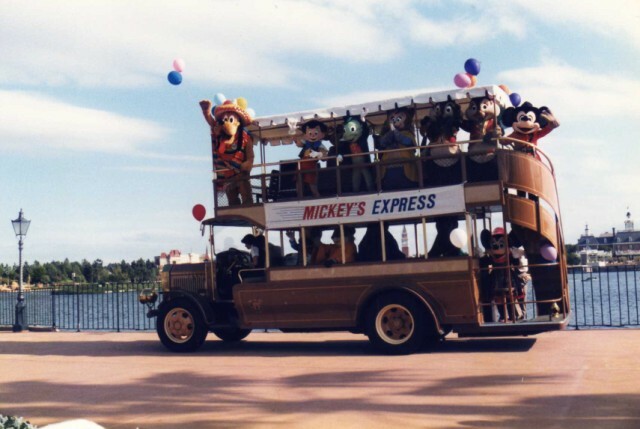 Disney’s longest, fastest ride, you get to test out the safety of new cars – its bumpy and the weather isn’t always Florida weather! Older kids find things to look at in most countries, they head for America and burgers and hotdogs and the story of American’s history is interesting. Italy - The teenagers like looking around the shops – Armani and Murano sunglasses – hint – WAIT 'til you get to the outlet stores – shopping in Epcot can be expensive. United Kingdom - if the kids want a fish and chip fix – visit Harry Ramsden's here and you pop into the pub for a drink! China - Brilliant food at the restaurant but the counter service is much cheaper and just as nice but not as much choice and of course no waitresses. The clothes are traditional Chinese clothing and I went to buy my daughter a Chinese dress but it was $100! Didn’t come back to the UK with us, needless to say. Dream of Nations, only goes ahead if there is no wind as it comprises of huge fabric puppets. They twist to meet the crowd and pat the youngest on the head. Huge drums play all the way through the parade with enchanting music. We sit in America with a Bud and watch the parade go by. Viewed 3338 times since 1 September 2008.